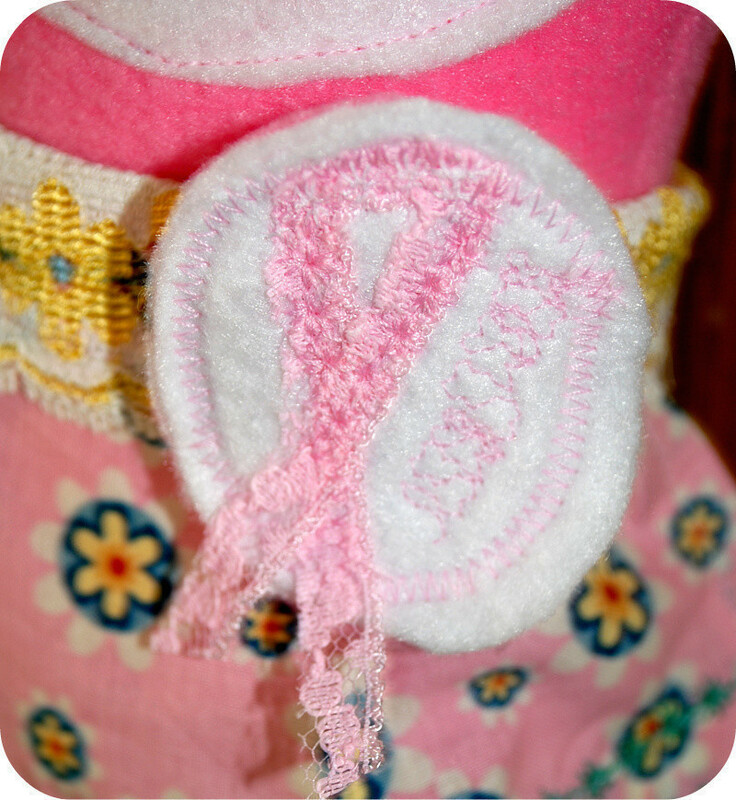 Create a breast cancer awareness pin. 3. Pin the seam tape in the shape of the awareness ribbon justified to the left and then stitch the ribbon on with a zig-zag stitch (you will trim off excess ribbon on the bottom to your liking when you are done). 4. Next make a decorative stitch to fill in the right area of the white circle (we used an abstract stitch choice from our sewing machine). 5. Now layer the white circle, then the pink circle in the middle, and one more white circle. 6. Do a zig zag stitch around the outside of the circles to attach them all together (try to not stitch over the pink ribbon. I folded and pinned the hanging bits of ribbon in the center of the pin while I zig-zag stitched). 7. Then, I went over the pink ribbon portion on the felt circle with another decorative flower stitch (but you could do another zig zag instead). 8. Trim the ends of the ribbon to the length you like. 9. Finally, on the back stitch on the pin with embroidery thread.